Today we celebrate the feast of the Exaltation of the Holy Cross. We all are ever grateful for what was won for us on that Cross. And yet, sometimes I wonder if we become a little too familiar with the oddity of the Cross, with the great and terrible mystery of our salvation. It both strange and wonderful, the tale, and when we read it, we find it a bit strange and still marvel at it. 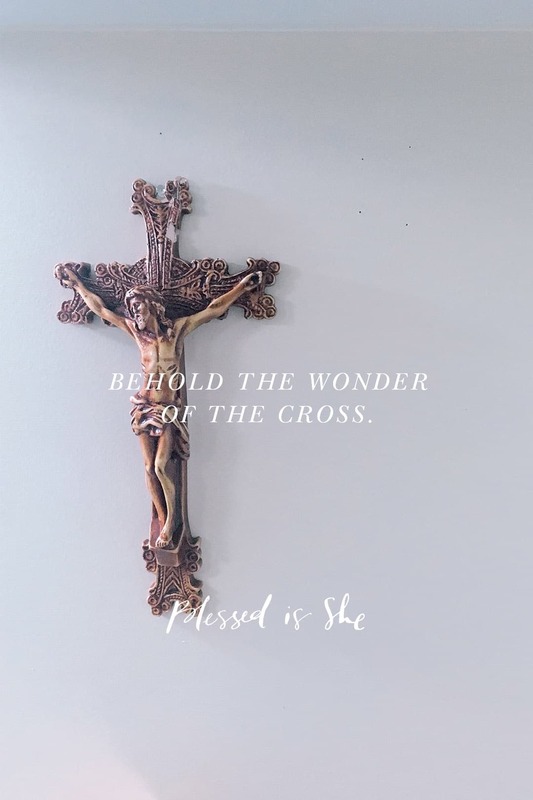 Yet, the tale of the Cross is no less strange or wonderful, and far too often, we forget to stop and behold the wildness of the tale that won our salvation. We forget the real story of a God who became one of us, took on our visage, and bled and died the death we deserved to heal us from the poison of sin and the price it had exacted, our very lives. And the Cross is no temporary victory, no foreshadowing of salvation, but the very real action, the final grotesque and beautiful mystery that puts the venom of sin to death once and for all. Today as we ponder this Holy Feast, let us ask for the scales of familiarity to fall from our eyes, to truly behold the wonder and strange beauty of the Cross—of the scarred and beaten body of our God uplifted as a banner of triumph, of blood and death as the vision of ultimate love. We have a faith that cannot be taken in easily, swallowed down sweetly. We have a faith that forms a lump in our throats even as we wave our banners high in victory. The Cross deserves at least that much. Let us look to it today in triumph but in earnest awe of its fierce and holy wonder. Thank you for this reflection! I could ponder what you’ve outlined in the comparisons between the old and new testmants for hours…. beautiful! !